Ready-to-use, ultra-low-volume fogger designed to effectively control a wide variety of greenhouse insects, including aphids, fungus gnats, mites and whiteflies, as well as numerous secondary insect pests. 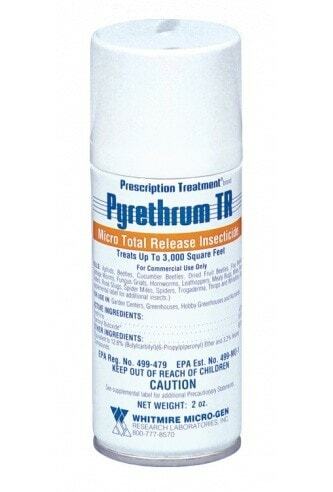 Pyrethrum provides the effectiveness and convenience of a total release fogger, which gives growing operations quick, thorough coverage, excellent plant safety, low worker exposure and short reentry times. In addition, micro foggers reduce operating expenses because there’s no expensive fogging equipment to maintain or repair, and no chemical mixing or cleanup. One 2-ounce canister of Pyrethrum covers up to 3,000 square feet.